Image courtesy of Daniel V. Patel, MD. Used with permission. 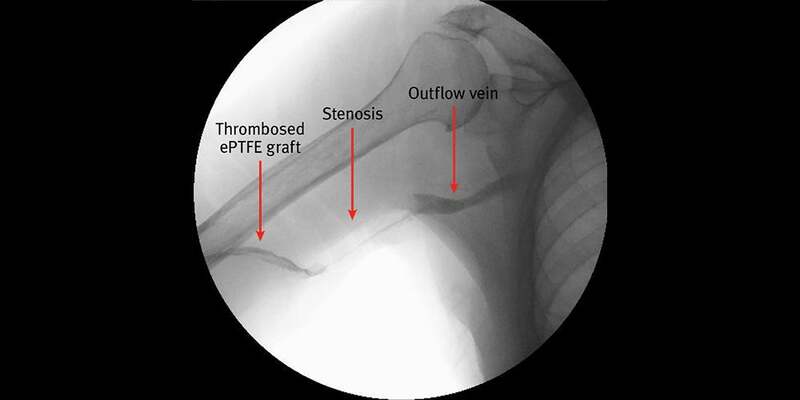 An endovascular thrombectomy of the right arm graft was performed. 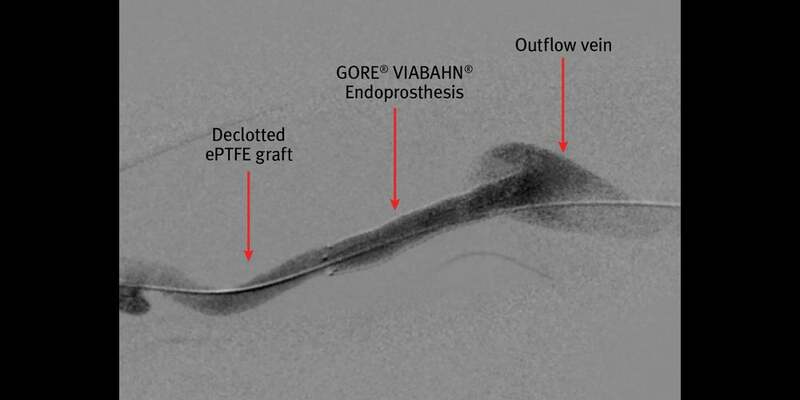 Antegrade and retrograde access was obtained directly through the ePTFE graft. Heparin was administered and angioplasty performed. 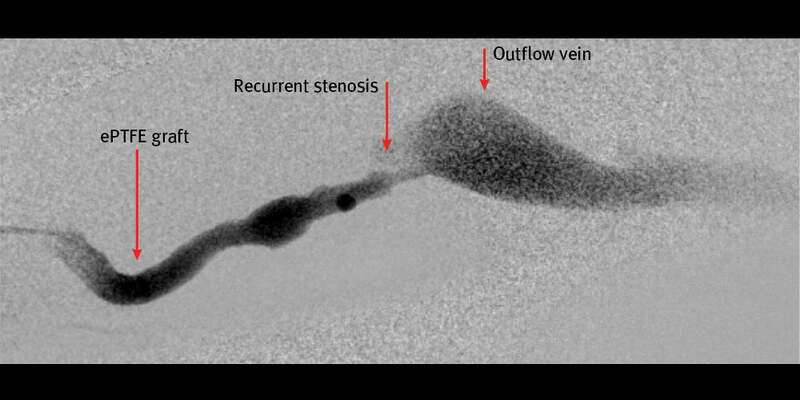 Further maceration of the graft thrombus, EDWARDS FOGARTY® Catheter clearance of the arterial plug, and clot removal with thromboaspiration was performed. Images courtesy of Daniel V. Patel, MD. Used with permission. 2. Mohr BA, Sheen AL, Roy-Chaudhury P, Schultz SR, Aruny JE; REVISE Investigators. Clinical and economic benefits of stent grafts in dysfunctional and thrombosed hemodialysis access graft circuits in the REVISE Randomized Trial. Journal of Vascular & Interventional Radiology 2018;30(2):203-211.e4. EDWARDS and FOGARTY® are trademarks of Edwards Lifesciences Corporation.